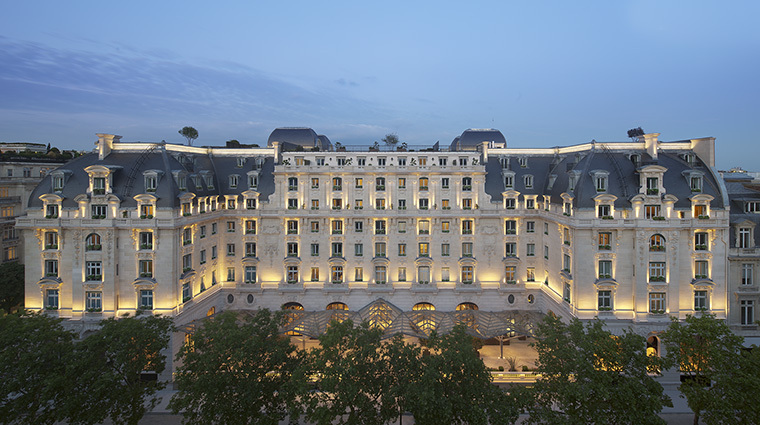 It’s fitting that The Peninsula Hotels’ first outpost in Europe is in Paris, a city where inconspicuous grandeur is a way of life. 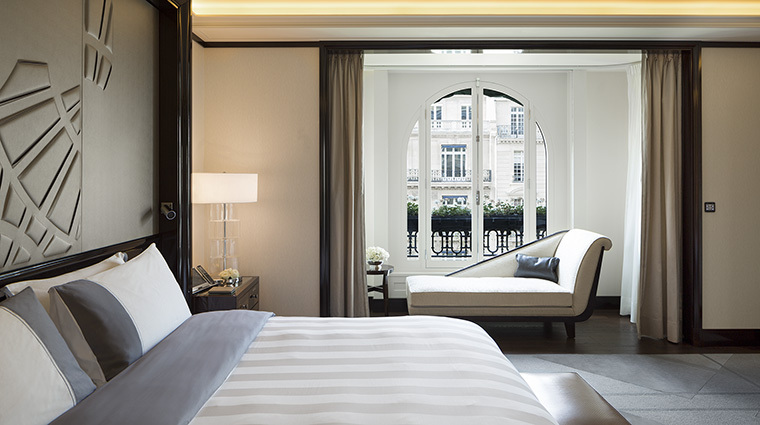 The Peninsula Paris has been meticulously renovated to restore the classic 1908 Haussmannian building’s stature. Originally named Hotel Majestic, the regal hotel was famous for hosting posh society events in the early 1900s. The building has seen many dignitaries, artists and socialites throughout the years. American composer George Gershwin wrote “An American in Paris” while staying at the original hotel in 1928. After World War II, the space was used as an international conference center. In present-day, the 19th-century hotel is modernized with luxury amenities and modern technology in the guest rooms, a world-class art installation in the lobby, six restaurants and a spectacular spa. The location of the hotel simply cannot be beat, with the Arc de Triomphe, Champs-Élysées and some of the world's best shopping all within close walking distance. 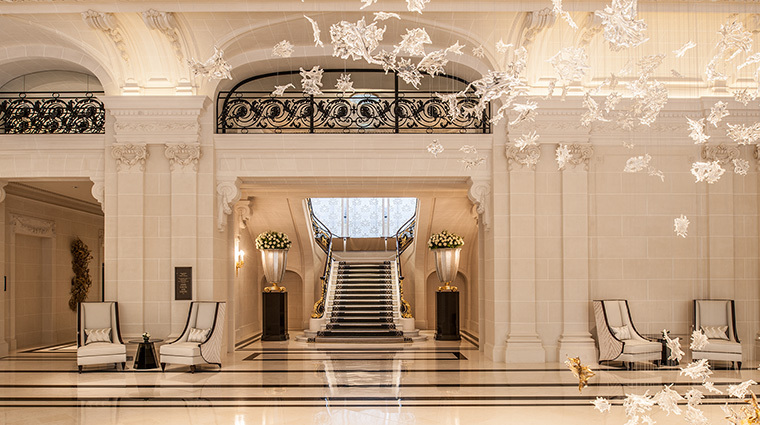 The stately hotel is a striking landmark in Paris, with its marble, gold-leaf finishing, rich wood paneling and other intricate details revealed post-restoration. 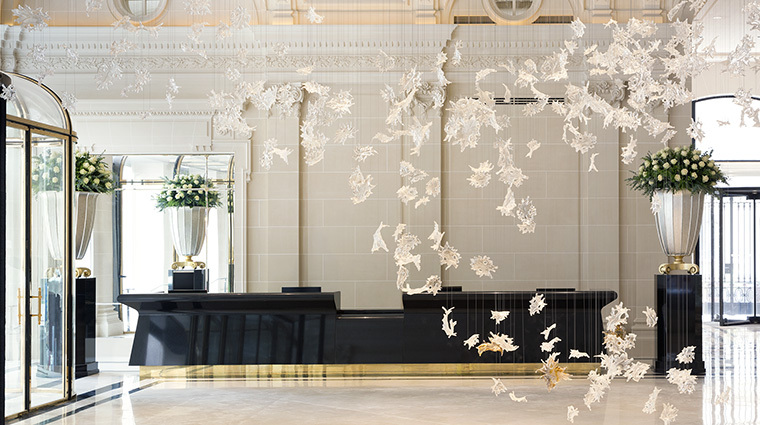 In the grand and light-filled lobby off Avenue des Portugais (in true luxury hotel fashion, the hotel has two lobbies), you can see the striking “Dancing Leaves” installation, a masterpiece of 800 hand-blown crystal leaves created by the Lasvit crystal atelier in the Czech Republic. Other major installations include a sculpture by Spain’s Xavier Corberó, and a contemporary mirrored work of art in the courtyard by Ben Jakober, another internationally celebrated artist. 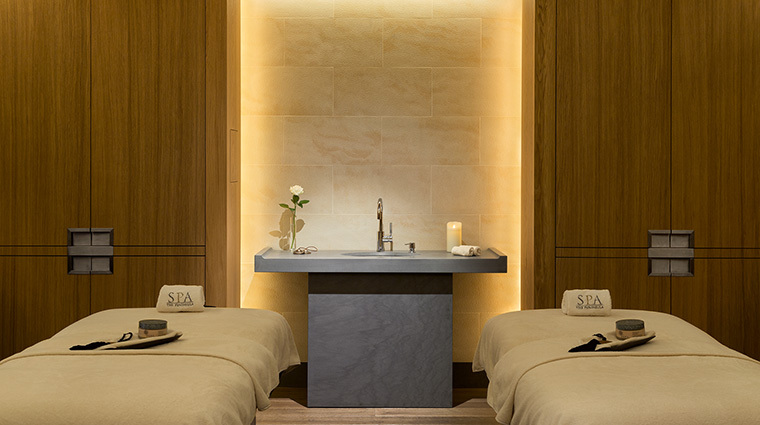 The Peninsula Spa Paris boasts more than 19,000 square feet includes saunas, aromatic steam showers, relaxation rooms and exquisite treatment rooms where you can book holistic, Oriental and European-inspired treatments. 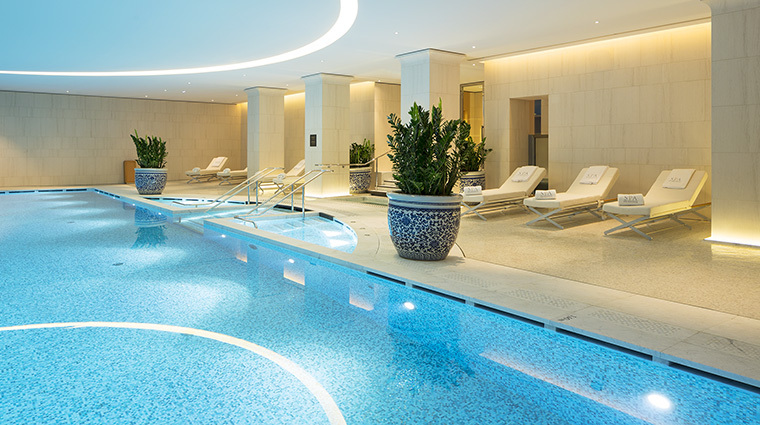 There’s also a fitness facility and a 72-foot heated indoor pool, which has a stunning floor-to-ceiling cascading water feature along one wall. Originally the Hotel Majestic, known for hosting posh society events in the early 1900s, the building has seen many dignitaries, artists and socialites through the years. American composer George Gershwin wrote “An American in Paris” while staying at the original hotel in 1928. The lush hotel features 200 rooms, (some of the largest in the city), and 34 well-appointed suites, some with access to a private rooftop terrace. 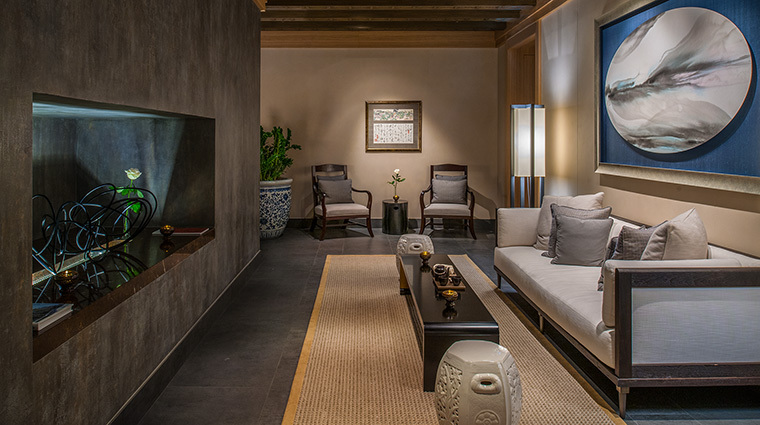 All rooms and suites have been styled in serene tones of soft grays and creams. 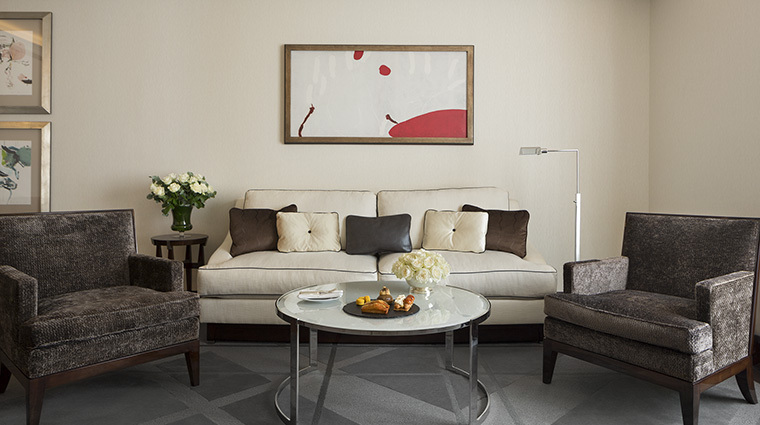 The contemporary, understated furnishings were created especially for the hotel by some of the world’s top designers. 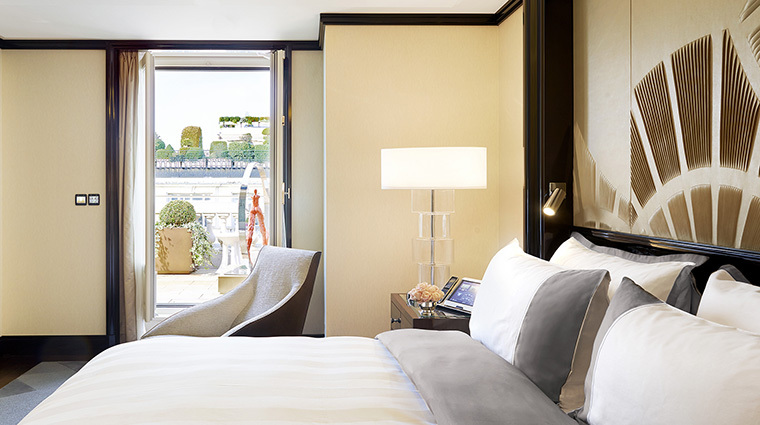 State-of-the-art technology includes customized interactive digital bedside and desk tablets designed exclusively for The Peninsula Paris, and a top-of-the-line audio-visual center (should you find yourself in Paris on business). 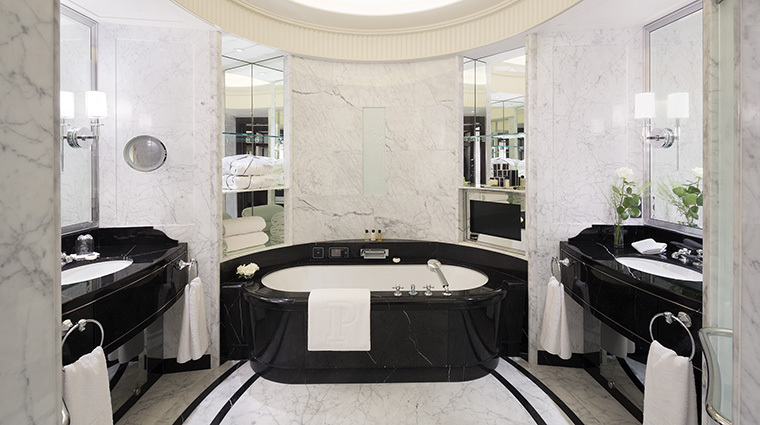 Opulent touches abound, including marble bathrooms with separate rain showers and deep spa-like tubs, sitting areas in every guest room and separate walk-in dressing areas. 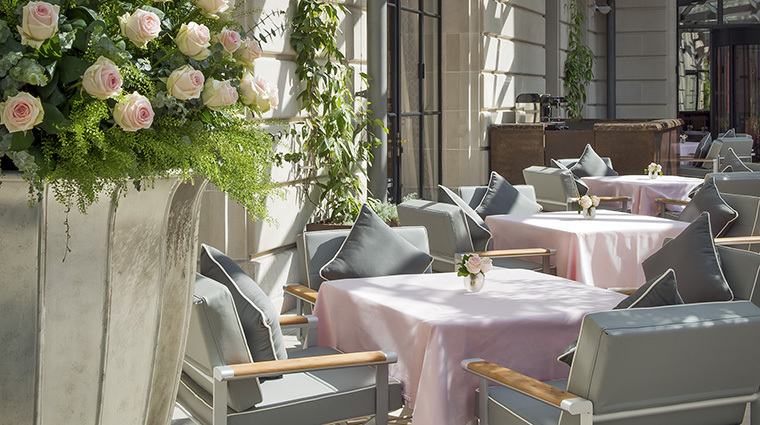 The Lobby restaurant serves French and international cuisine and is as an idyllic spot for traditional afternoon tea (live music is performed during the daily ritual). 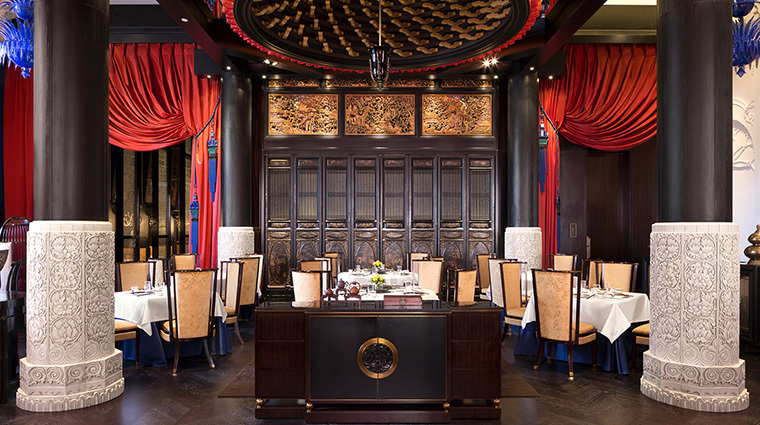 LiLi, the Cantonese eatery styled after French and Chinese operas, transports you to a different world with dark woods and rich reds. 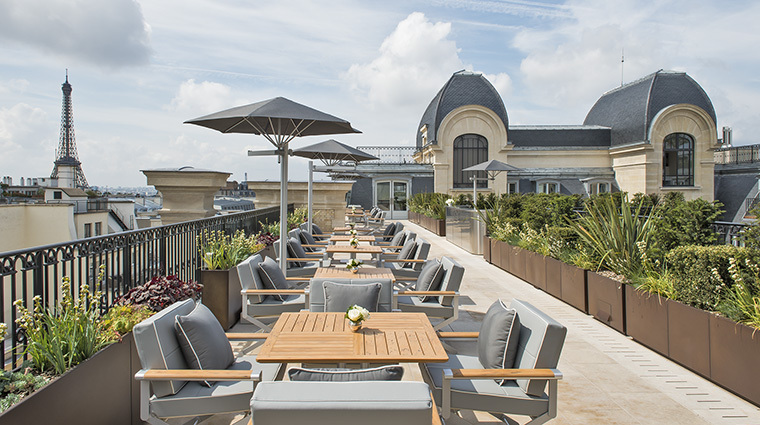 On the sixth floor is the stunning L'Oiseau Blanc, a beautiful rooftop space that offers a traditional French brasserie experience with an updated, contemporary twist and pops of unexpected flavors. 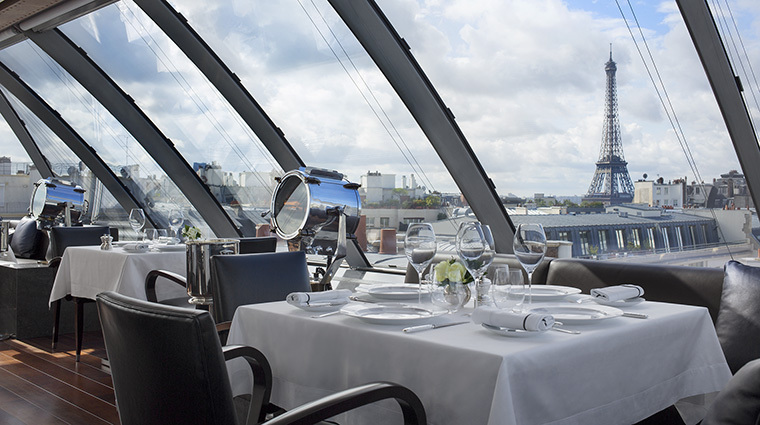 The restaurant itself offers stellar views of the Eiffel Tower, Montmartre and other notable Parisian landmarks. Diners can choose to eat inside the restaurant or outside on the large picturesque terrace.